The European Union Chamber of Commerce in Korea (EUCCK, www.eucck.org) is planning to submit a formal written request to the National Assembly's Information and Communications Committee by the end of this year to propose a bill which makes it an obligation for Internet Service Providers (ISP), Hosting Companies and Cyber Shopping Malls to take proactive measures to protect trademarks and copyrights. Currently there no laws designed to assign responsibility to ISP or hosting companies for the distribution of pirated files, which has paved the way for "peer-to-peer" or "warez" sites to become a lucrative business in Korea. Business Software Alliance (BSA) reports that forty-six percent of software programs in Korea last year were illegally duplicated, generating damage worth $500 million. Because the law does not make the host responsible for the file housed on their server, it is almost impossible to prosecute. On the other hand, major cyber shopping malls stipulate as a condition for sellers that counterfeit goods infringing trademark rights are "goods not fit for sale" and state the liability of the seller alongside the fact that the seller may face criminal charges. However, proactive actions to ban such sales on these domestic auction sites, Internet shopping malls, communities, cafes and personal websites have been insufficient, failing to curb the great outpouring of counterfeit and pirated goods transactions. According to the cyber smuggling center of the Seoul Customs Office, the volume of transactions made on Korean cyber shopping malls increased from 33 trillion in 2001 to 2.7 trillion won in the third quarter of 2005, growing an astounding 44.8% from the same period last year. The number of counterfeit transactions on the Internet also saw a rise from 23% of total transactions in 2003 to 81% in August of 2005. The volume of uncovered goods also saw an increase of about threefold from 7.4 billion won in 2004 to 21.2 billion won in 2005. Suppliers and on-line wholesalers either falsely report their illegal goods overseas as legitimate items to receive import licenses or bring in the goods through peddlers and send the goods to surrounding warehouses. They sell or supply such allegedly illegal goods by showing their import licenses to Internet wholesaler or maintain that the goods are parallel imports. Because the liability law is lacking, it is highly likely that unless reforms are made, the IPR problems will exacerbate. The EUCCK recommends improved legal structures to clearly define liabilities of ISP, hosting companies and cyber shopping malls engaged in the promotion and roles in IPR infringement. During the1st External Council for IPR Enforcement held in August this year, the EUCCK requested that Korea's law enforcement agencies strengthen the penal regulations against Cyber Shopping Malls and Internet Service Providers found guilty of such illegal transactions and to be more efficient in their crackdown of IPR infringement cases in cyberspace. 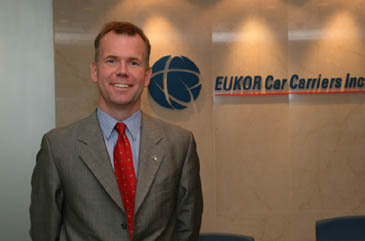 The EUCCK provided the Ministry of Justice with information on cases of IPR infringement experienced both on-line and off-line by foreign business in Korea and agreed to actively cooperate in the Korean government's IPR protection efforts and proactively address IPR infringement on an international level together. The EUCCK Intellectual Property Rights Committee is planning to aggressively push forward with its Internet anti-counterfeit monitoring system in order to protect the interest of consumers in the international trade environment led by the Internet and ensure that Korea matures into an advanced country in terms of IPR providing an attractive investment environment for foreign businesses. For further details contact: Jane Chungmin Yoo, Manger EUCCK IPR Committee: 725-9880/01190777296 e-mail : euipr @eucck.org.